A tradition of support for your student, Dickinson College and a brighter future. 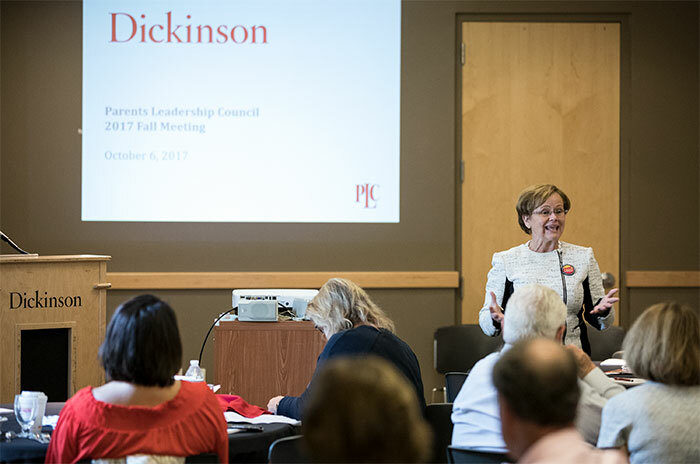 The Dickinson Parents Leadership Council (PLC) consists of the college’s most committed parents, who provide insight and resources to enhance Dickinson’s academic programs, co-curricular opportunities and national reputation. Through semiannual meetings and regional programming, PLC members strengthen the college’s network of parents, while facilitating strong philanthropic support from fellow parents. Members of the council also play a leadership role among Dickinson donors by supporting the college with an annual leadership gift.